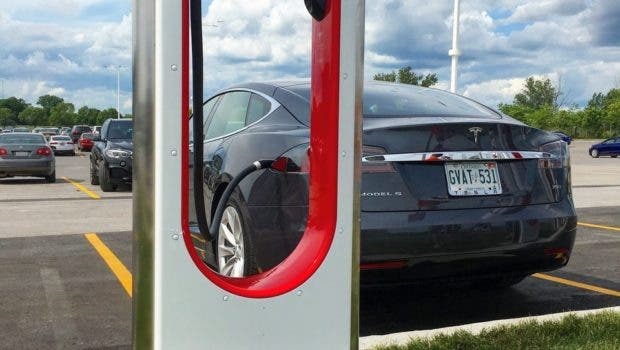 Tesla announced that with the official ribbon cutting of its new location in Belleville, Canada, it has opened its 10,000th Supercharger. The news reveals that Tesla has added nearly 3,000 new Supercharging stalls since its Q3 2017 earnings call, when Elon shared that the company had more than 7,000 Supercharging stalls around the world. That translates to Tesla adding more than 14 Supercharging stalls per day for the last 7 months. The Superchargers are going up at various locations all around the world. That’s a breakneck pace that speaks to Tesla’s relentless desire to continue to expand its charging network in parallel to the increases in vehicle sales that are coming as Model 3 production continues to ramp up. Tesla continues to have the largest and most robustly deployed DC fast charging networks in the world, with the massive caveat being that it can only be used by Tesla vehicles. Tesla has repeatedly offered to let other manufacturers get onboard the Supercharging train — as long as they pay their fair share of charging and make cars that are compatible with current chargers — but none have taken Tesla up on the offer to date as far as we know. If I had my druthers, I’d push for Tesla to make the Supercharging network available to any EV driver, with a special Tesla-supplied adapter — for a fee, of course. 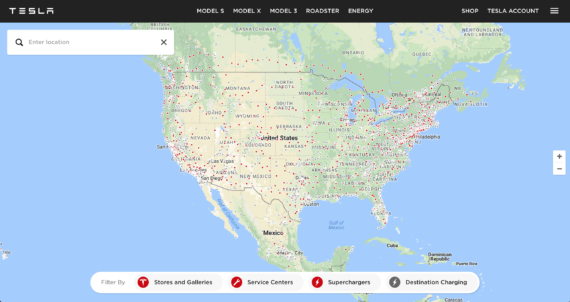 The news comes in conjunction with a revamping of the Tesla Supercharger locations page — go to tesla.com/findus for a close look. 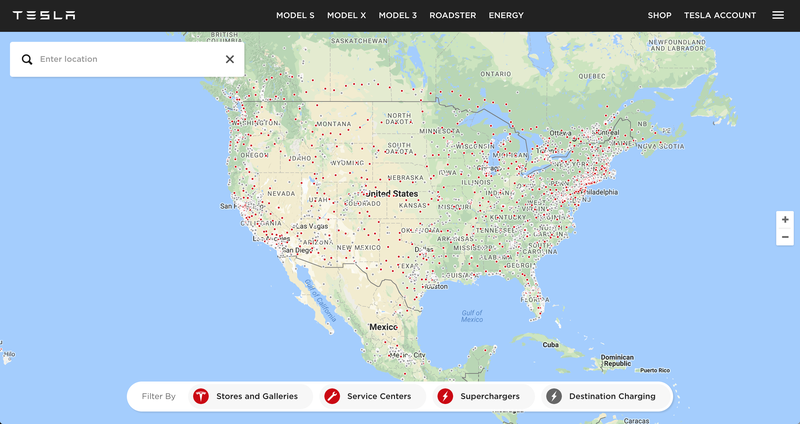 The revamped page uses much smaller dots to identify Tesla’s Supercharging stations (now red dots) and destination charging stations (now grey dots). It was getting a bit cluttered on the map, and the new format makes it look much more like the planet has picked up some sort of a skin rash. It’s an understandable change since the network continues to grow and increase in density. What’s a car company to do?